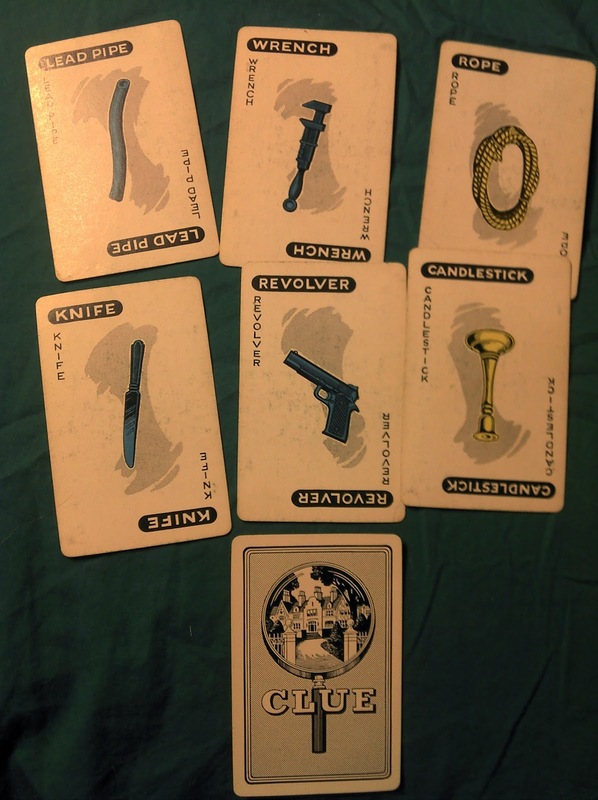 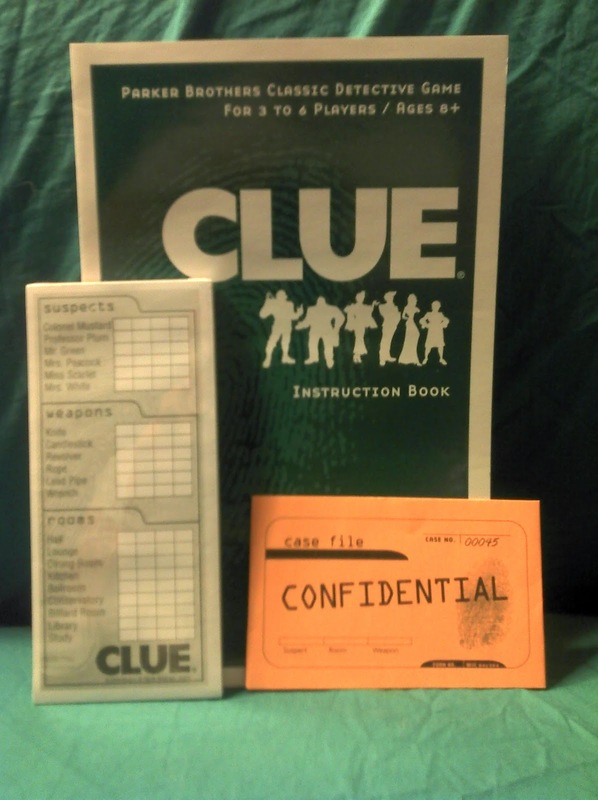 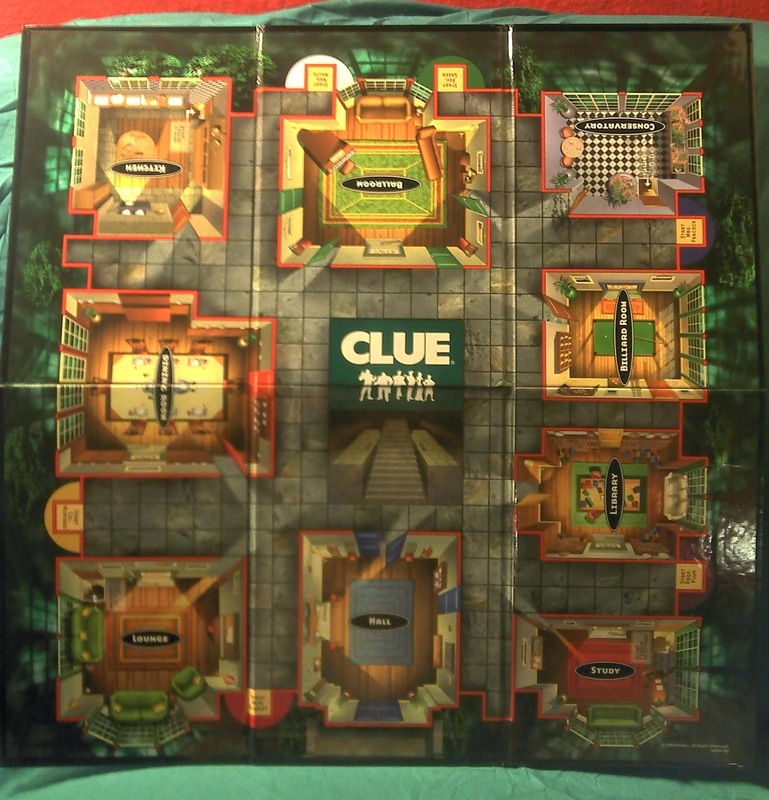 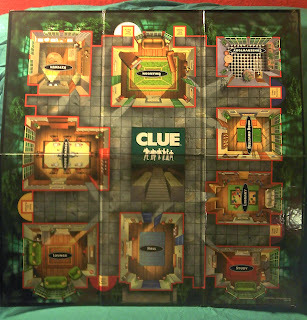 I'm going to gradually put up pictures of my Clue games. 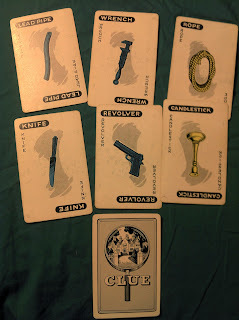 Although you can find most of these on the Art of Murder site it will help me keep better track of what I have. 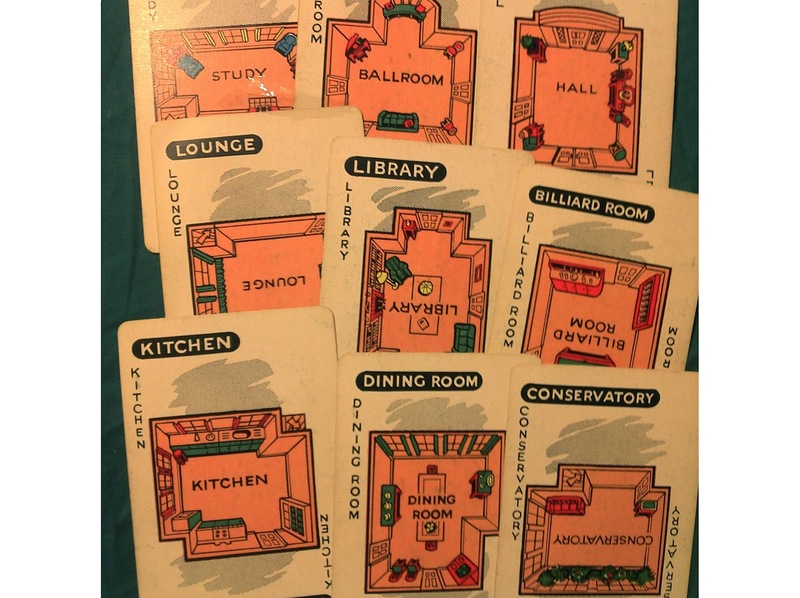 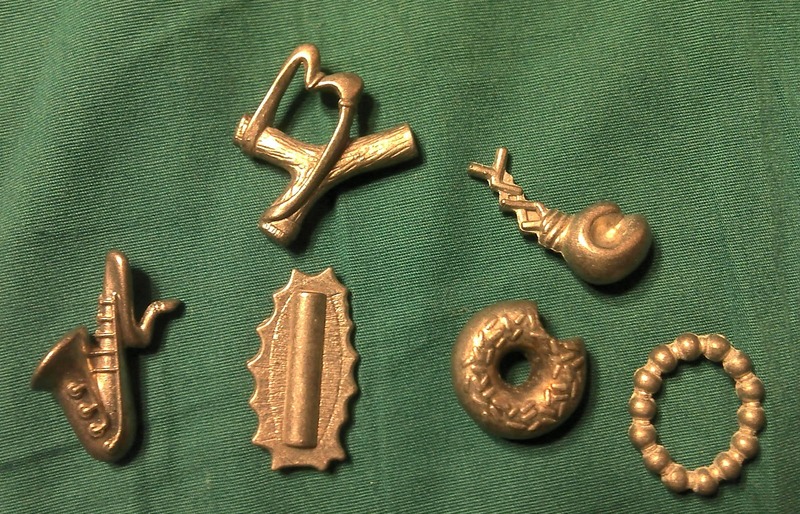 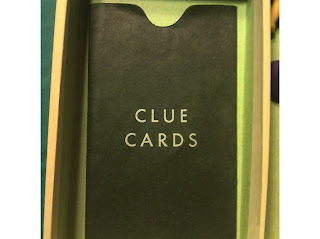 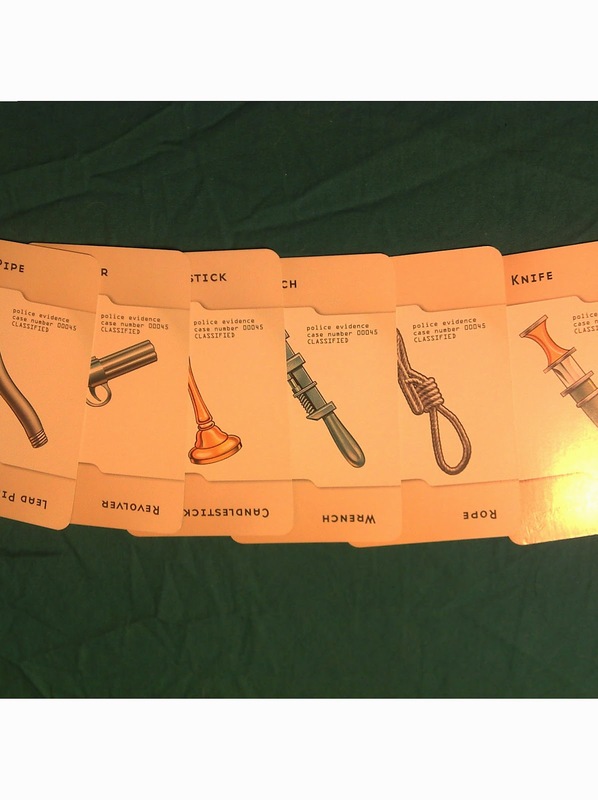 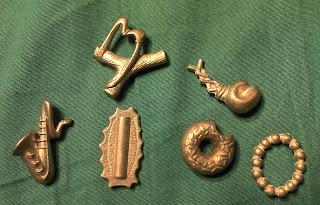 This is a 1949 Small Box Edition Clue Game. 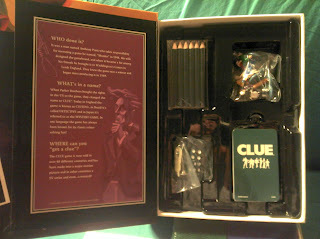 This is the American edition of the game. Only the pieces came in the box, the board was separate. 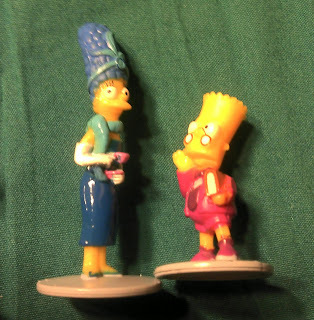 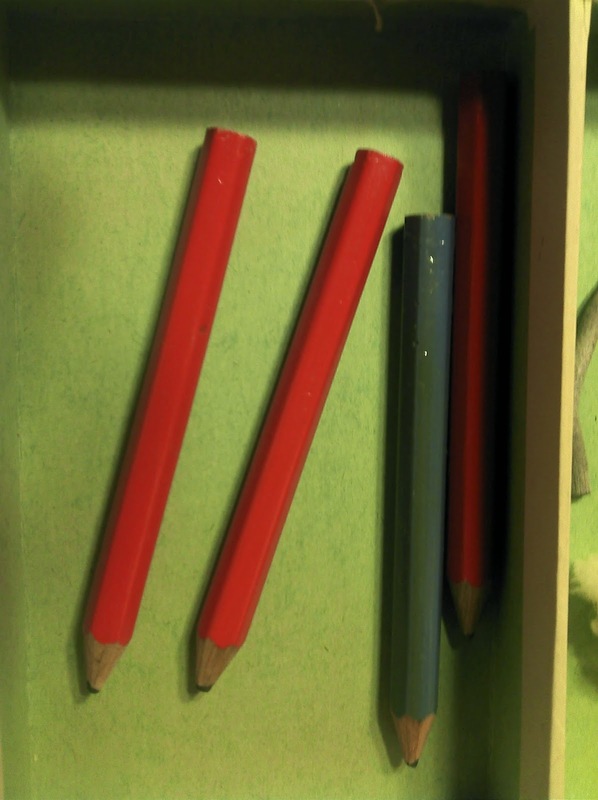 This particular copy is close to the original box color. 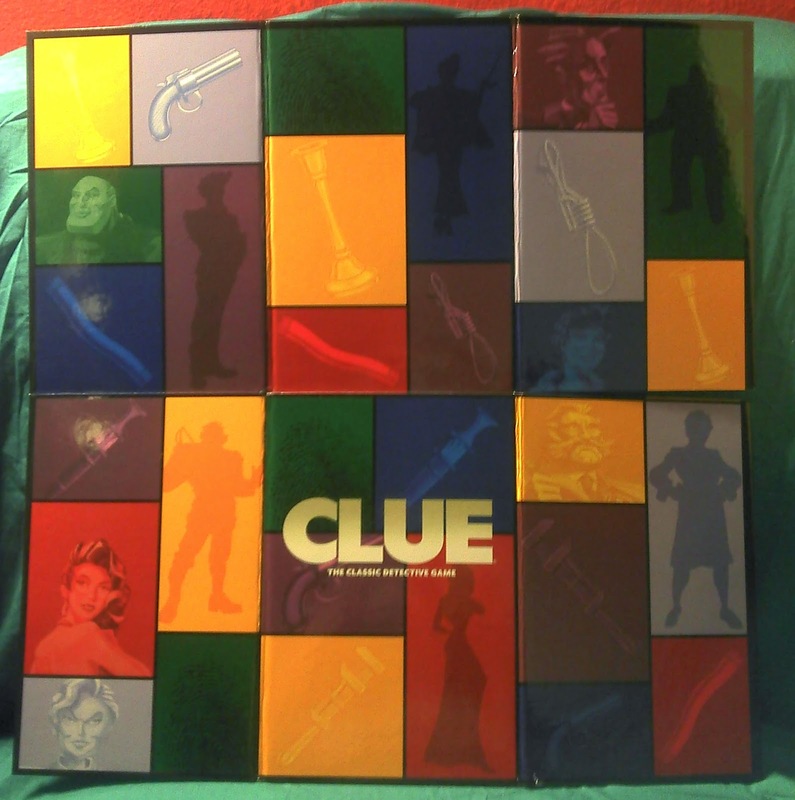 The original color is pretty dark and the color faded very quickly. This particular copy is complete and even has some unused detective note pads. 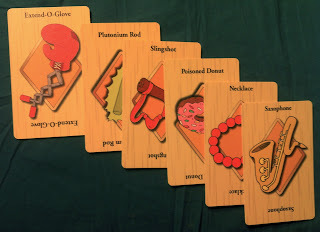 I'll have to add a picture of the board later. 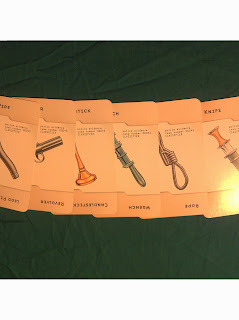 I have a second copy of this one as well. The box is more faded but still green and its missing some pieces. 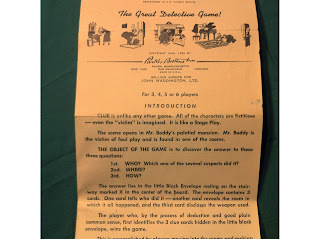 The rules; Copyright 1949, 1950. 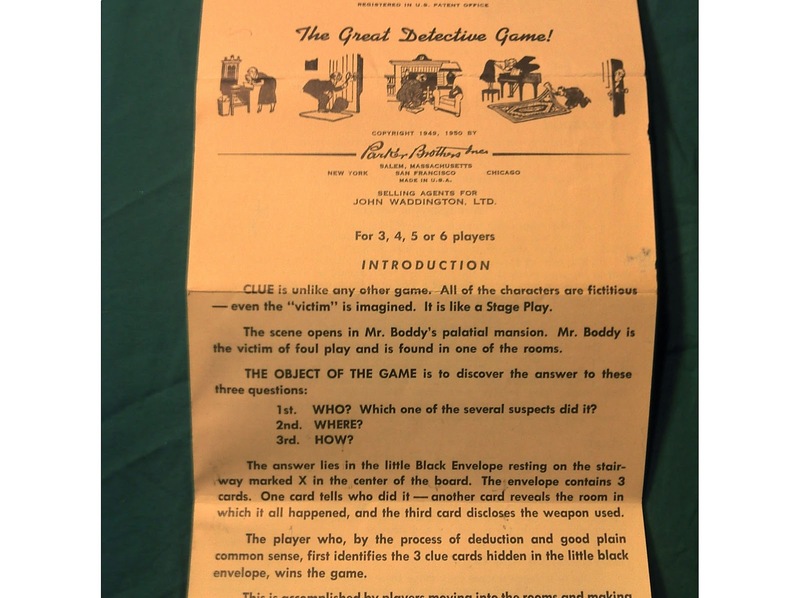 The rules went unchanged for years and I see many 1963 editions listed on eBay as 1950 editions of the game because of this. 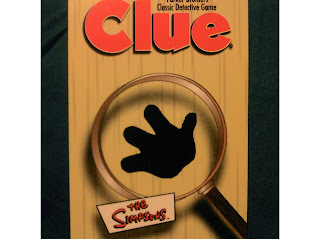 If you are unsure as to what edition of the game you own look for the copyright on the board. 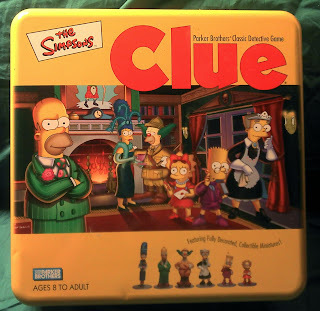 This is the first licensed version of the game to come in a tin. There were several others before it but they were published by Parker Brothers. While they look nice I'm not fond of the tin box, it has a tendency to dent quite easily. 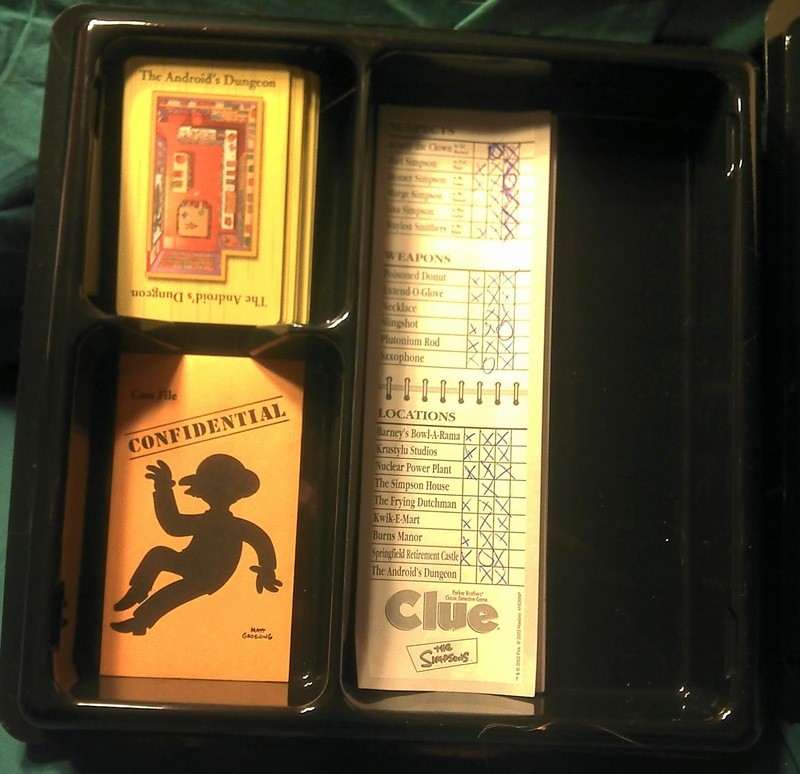 This version of the game comes with two trays. 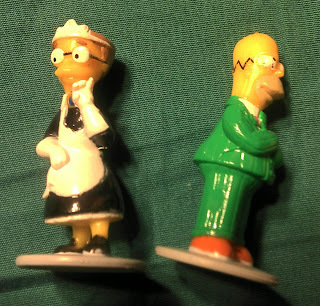 I have no idea why either. 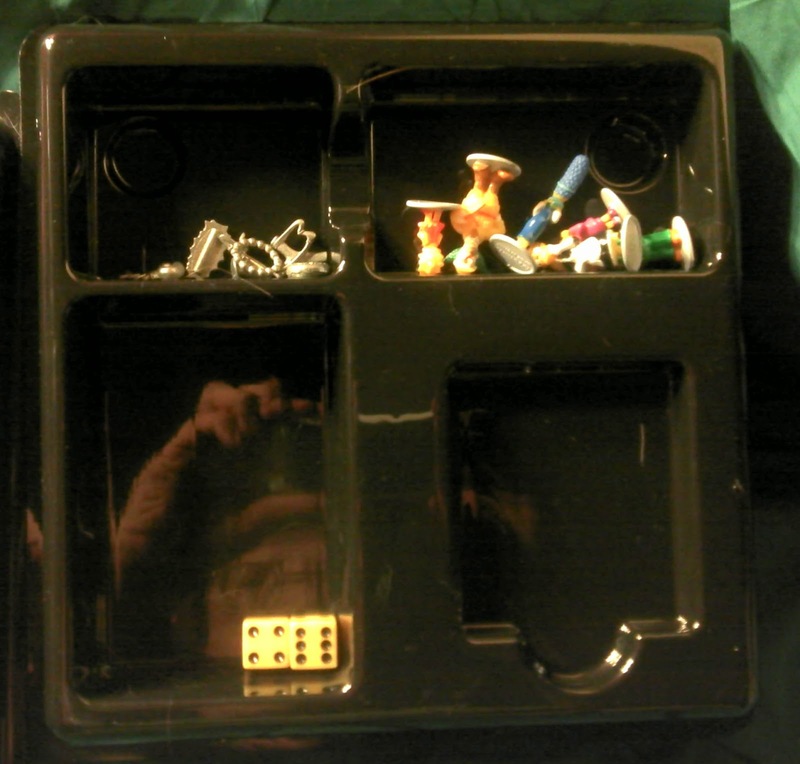 All the components would fit quite nicely in one tray. The black plastic is so shiny I caught myself in the reflection. 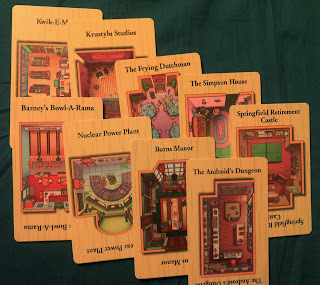 Nothing quite seems to fit right in this trays which makes me wonder if they were actually designed properly or if they were intended for another game. 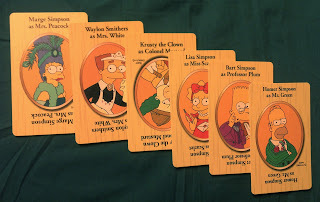 I do love this board. 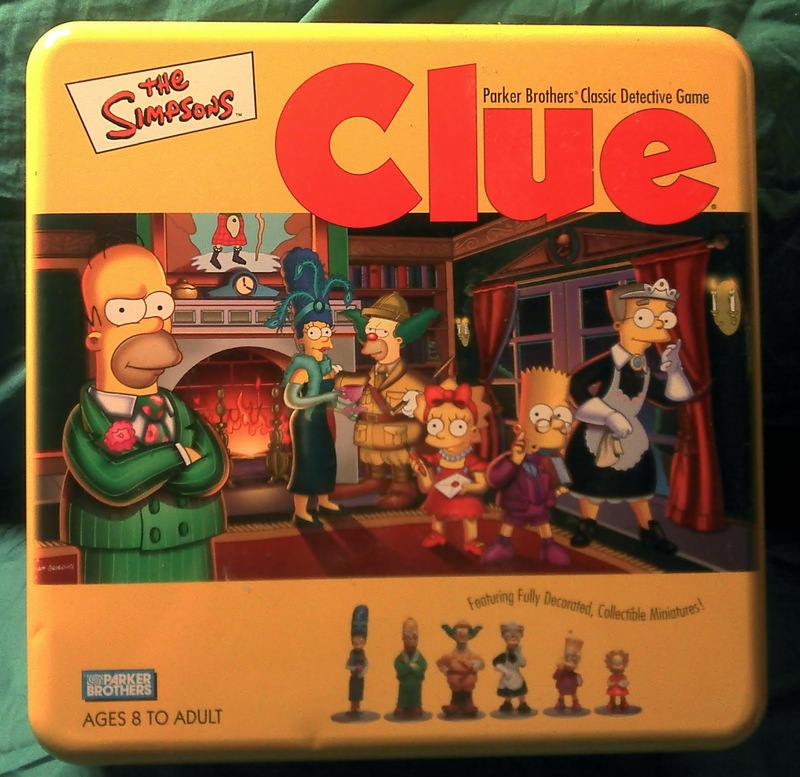 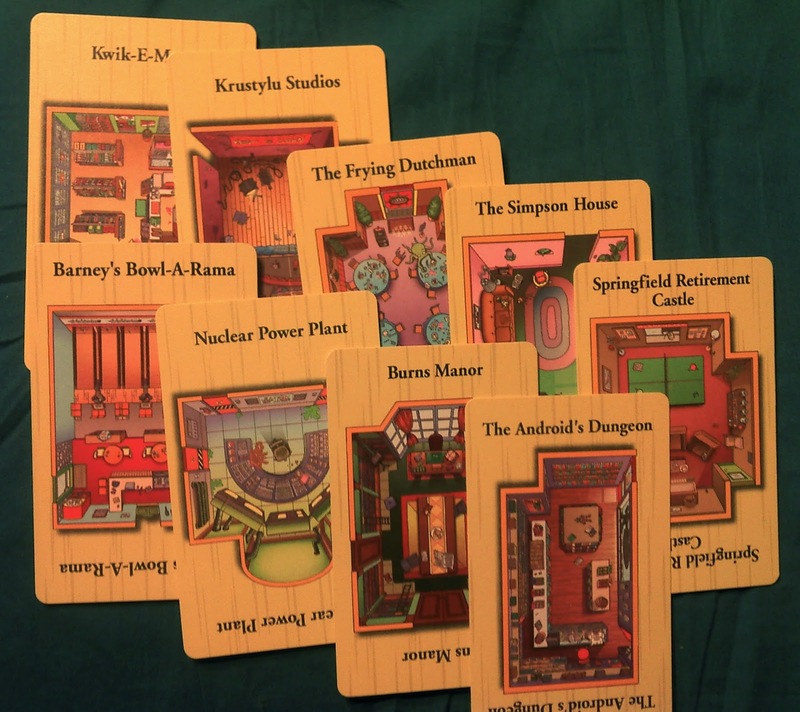 It is still the standard "Clue" board with different names an d artwork but it really captures the Simpsons "feel". 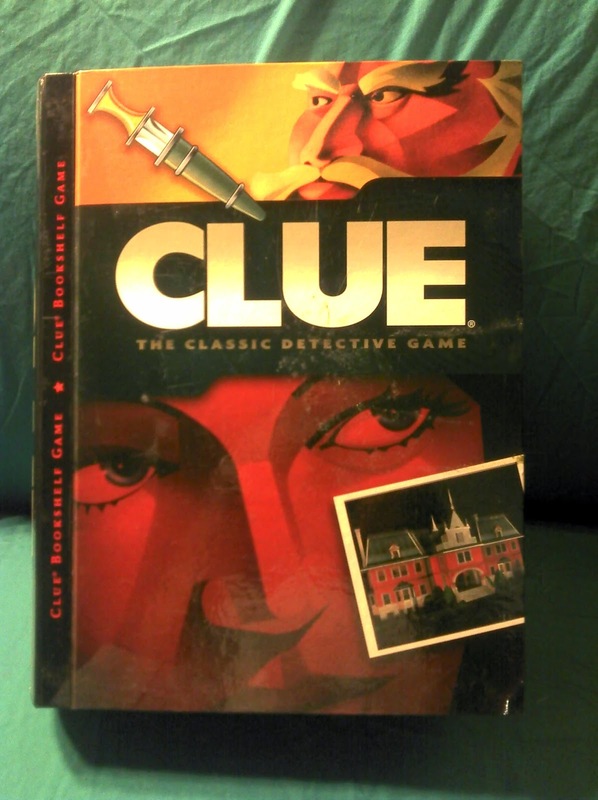 I think the various bookshelf editions of "Clue" have been the hardest ones to track down. 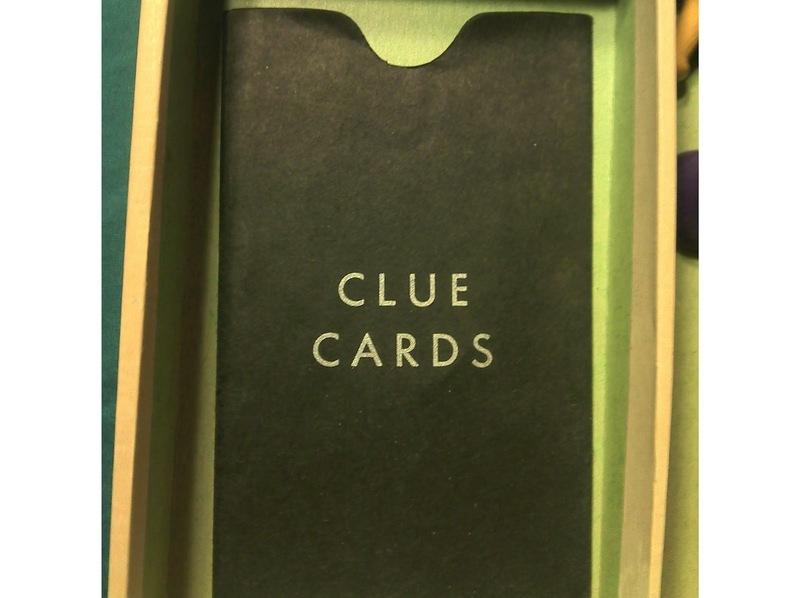 I'm still missing at least one at this point and perhaps two. 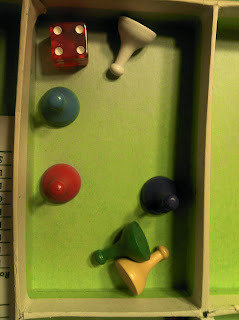 This one maybe my favorite bookshelf version, I love the modern art take on the back of the board. 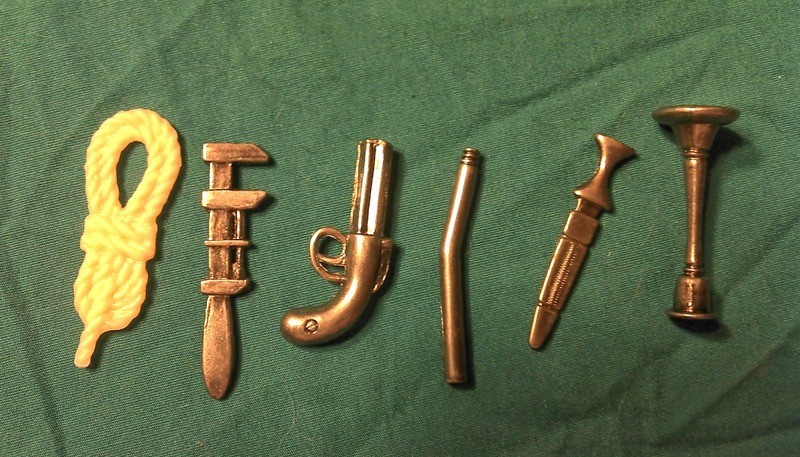 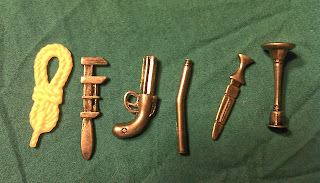 This is still what I would consider a standard edition of "Clue" nothing really new, pre-painted character pawns and pewter weapons in an even smaller box. 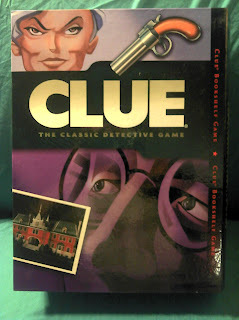 The smallest one yet for a full size game of clue. 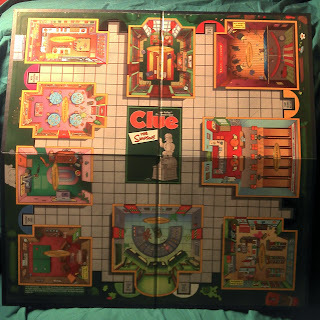 The board, at this point still shrinkwrapped! The back of the board. 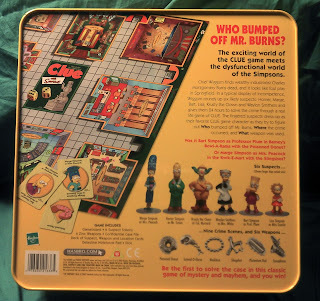 One of the few boards that does have anything printed on the back. 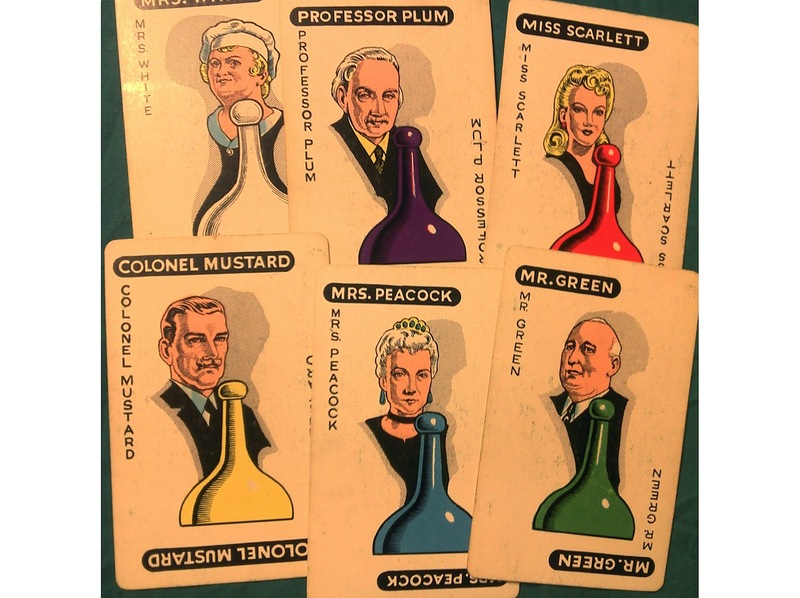 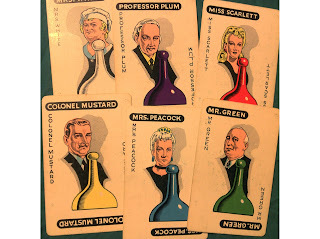 The Character Cards, Col Mustard is a bit washed out. 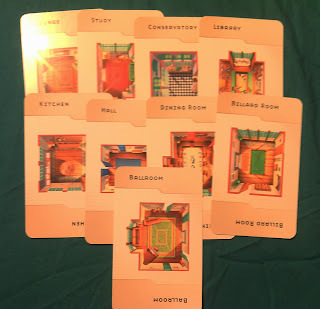 Next up (because I have pictures already) is the various Disney editions of "Clue" known as the Haunted Mansion and featuring scenes from the Haunted Mansion ride in Disneyland and Disneyworld. 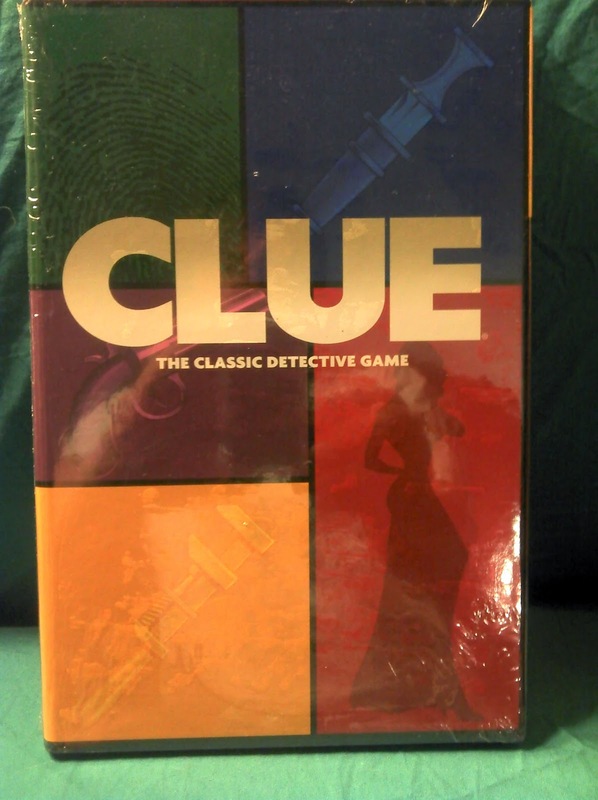 There are three editions from Disney. 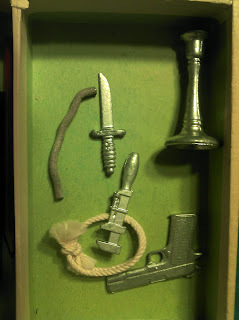 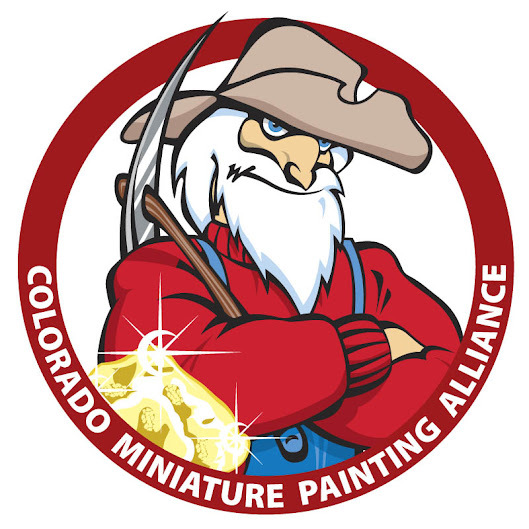 The first edition came in a tin box and featured pewter character miniatures and plastic ghost miniatures. 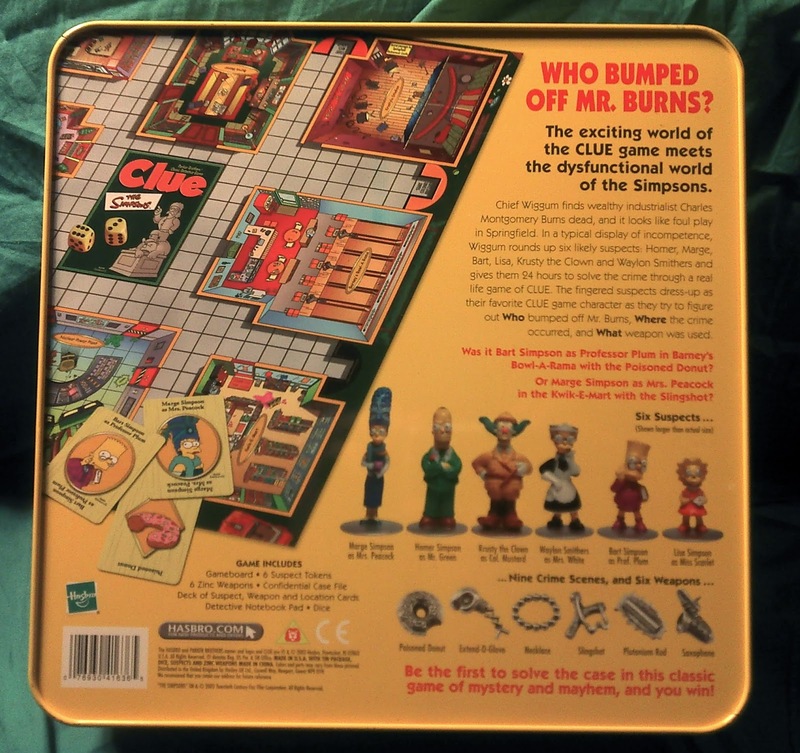 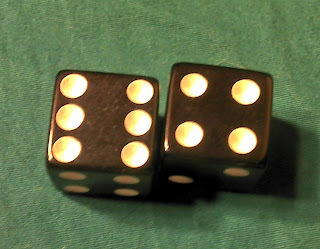 The second edition of the game moved from the tin box to a cardboard box and replaced the plastic ghost miniatures with cardboard standups although the player tokens remained in pewter. 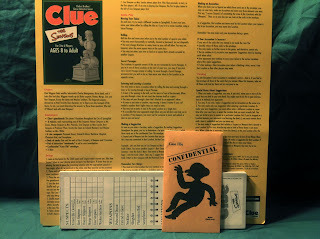 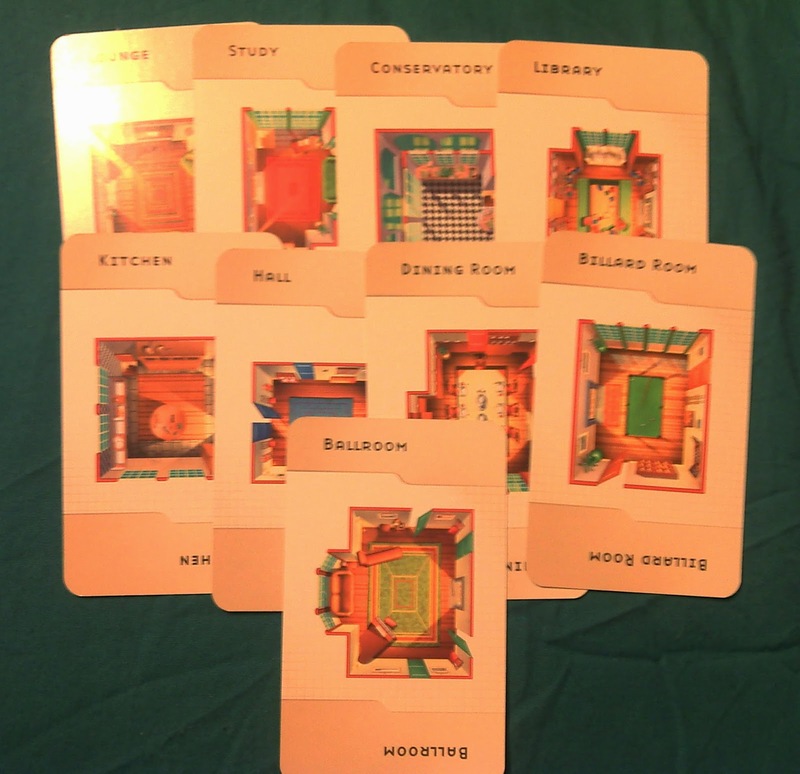 The third edition of the game remained in the cardboard box and had plastic player tokens and cardboard ghost standups. 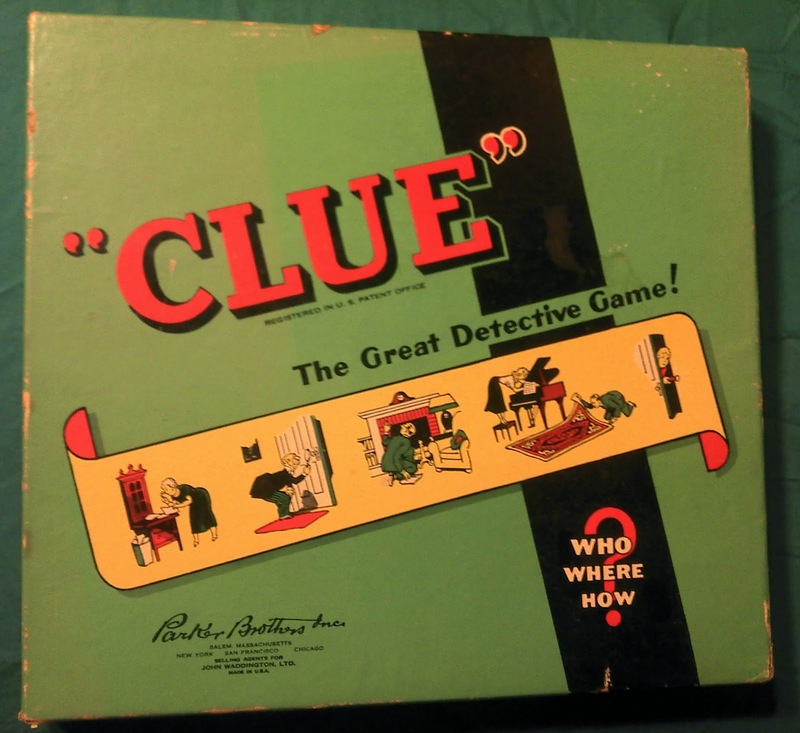 I'll head over and check it out!